Defensive back Billy Thompson (36) during a game against the New York Jets on October 22, 1973 at Shea Stadium in Flushing, New York. Denver Broncos beat the New York Jets 40-28. 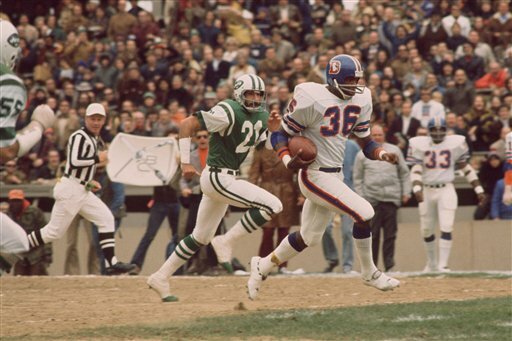 Billy Thompson played for 13 years all with the Denver Broncos and was a three-time Pro Bowler.